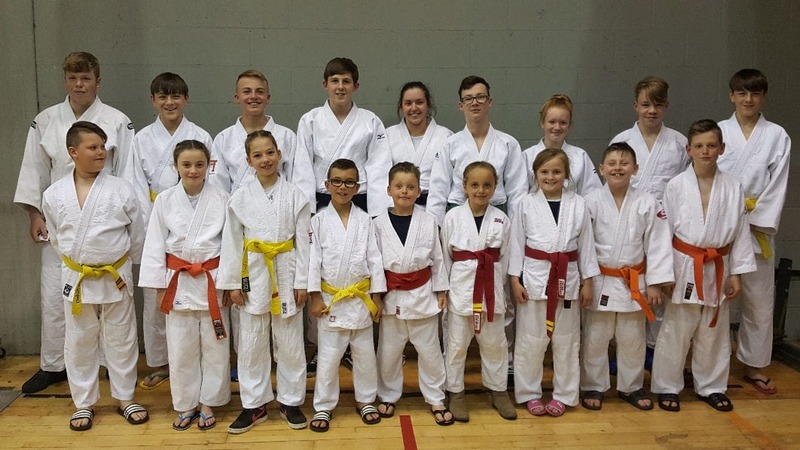 Eighteen students entered the British Judo Council's open National competition at Kettering. Judoka were competing in eleven categories and returned with a very impressive 6 Gold and 3 Bronze medals. Siblings Charlie and Ellie Hutton competing in the u27kg and u48kg groups were both undefeated in 6 contests to each secure a gold medal, this is now Ellie's fourth Gold medal at this National level. Sean Young, Josh Stoneman, Josh McKeown, Luke Anderson and Scott Anderson joined 10 others in a very strong u60kg category which included the British number one, the British Schools Champion and many BJA squad players. Josh McKeown being the only medalist winning four fights to take the Gold. Kieron Hardaker aged 16 entered his first senior event at u81kg and Kieran Tweedy aged 17 took part in the senior Dan grade u73kg category which ranged from 1st to 5th Dan Black belts. Lewis Gray and Shaylin Burn fought well in the 8 and 9 year old u30kg and u32kg groups, with Shaylin winning a Bronze medal. Joe Flaherty won his third consecutive national title in the u48kg event. Jenni Francis was undefeated in the u32kg group to secure not only the Gold medal, but was also awarded the Jacky Hamblin memorial trophy. Maddox Fuller and Joe Carroll both won 2 from 3 contests in a very large group of u38kg boys. Leah Anastasi secured the bronze medal in the Senior Dan grade u63kg event. Alesha Slater and Kiera Pentolfe representing Seghill Judo Club in the u27 and u32 categories, Alesha winning a Bronze Medal and Kiera the Gold.